Rotary At Work for second weekend of AccessHealth's Back to School Event! 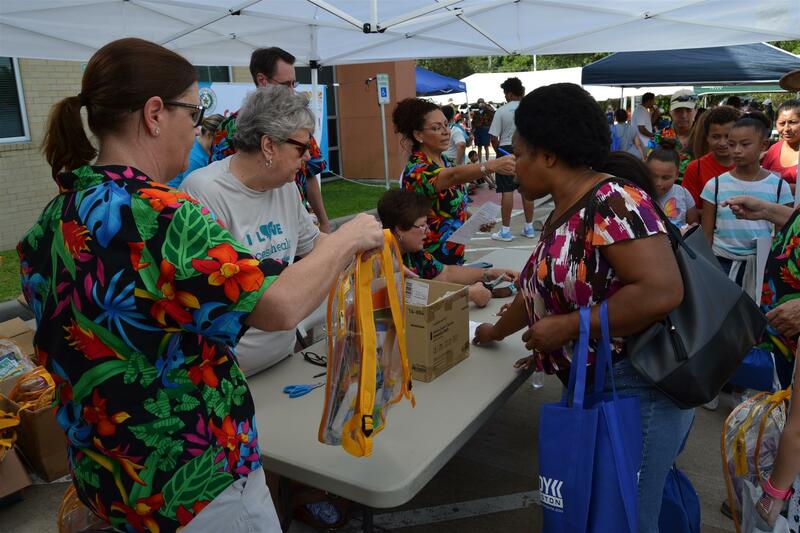 This past Saturday was the second day of AccessHealth’s Community Operation Back to School Event. It was held at the Missouri City Clinic. 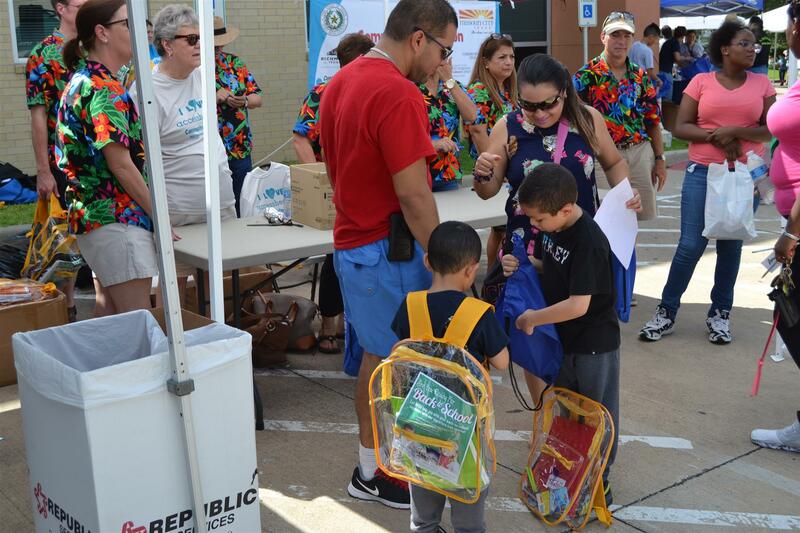 Our club handed out 1,715 back packs full of school supplies to the children after they had received their screenings, haircuts or immunizations. Parents received information about other services and groups that collaborate with AccessHealth in helping to meet the needs of the underserved in Fort Bend County. Over the course of the two weekends, approx. 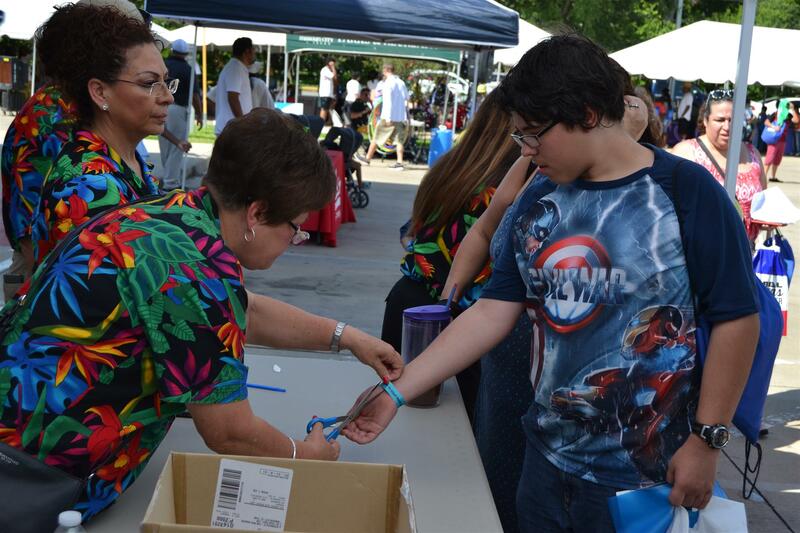 185 immunizations were provided, 48 sports physicals were provided, 134 dental screenings, 182 vision screenings, and 50 speech screenings. All of these were completely free to the community! The Rotary Club of Richmond was a major sponsor for this event along with several others in our community.